Image Credit Momentus Media ~ Click Image to read Why Do People Share? No matter how many – or currently how few – supporters your business, blog or cause has, it is up to you to facilitate their ability to support you. Providing the most commonly used share buttons on each post. Consider offering Twitter, Facebook (share and/or like), StumbleUpon, Google + and any others specific to your niche. Creating an RSS feed and place it in an easy to find location – ideally the top right corner near the header of your site – so that social media savvy influencers can auto-feed your new content. Sharing buttons should be on each post but NOT appear on the summaries on your home page where they reduce load time. This is controlled by where you place the code. Alternatively you can use floating share buttons on the edges. Be sure your canned tweets include your Twitter username, compelling text to encourage clicks, and that they are less than 140 total characters. Too little text, tweets that won’t work because they are too long, and not including your Twitter username are common mistakes. If you publish regular videos, you can use those as the basis of your posts. Add some descriptive introductory and closing text and you have a compelling post Google, will be more likely to rank well and that your supporters will be happy to send to their friends and family and spread across social networks for you. IMHO, Twitter is your most important account because it is where influencers or influencers collaborate. If you have a blog or Web site you REALLY need a Twitter account and you need to put your Twitter username in an easy to find location (as text so it can be found on a search of your page). See my complete Twitter Best Practices post for details on how to get the most out of Twitter. @AskKim (see Facebook under Social Media Secrets). @wchingya (there is a Facebook Customization section). @affiliatexfiles (click Facebook How-to Videos). Google Plus is being heavily promoted and could become critical to search engine traffic. Google has officially asked businesses not to create Google+ profiles. Since then Google told businesses they could apply for Google + Brand Pages. For now, have individuals from your organization or cause join Google+ as themselves to share what interests them about what you’re doing. People like me know how to review your content on StumbleUpon which can send hundreds and sometimes thousands or even tens of thousands of visitors and is an excellent social network for saving research. On a results page, click on MORE in the upper section to see users who have shared the best and most content on a topic. The lower section shows the top content tagged for that keyword phrase. Use this syntax to go directly to the people section. There can be multiple pages of people who have shared top or quantities of content on that topic. Social Media savvy bloggers use browser addons and sharing tools like the su.pr toolbar, Facebook Bookmarklet and FriendFeed bookmarklet but you should NOT expect most users to know about these. Make it fast and easy for them to share and they will. One more tip. Intentionally include Twitter length ‘sound bites’ in your content. Whenever I come across content that makes multiple excellent points that can easily be tweeted I schedule a tweet for each one. Instead of me sharing your content once on StumbleUpon, Facebook, FriendFeed and Twitter, compelling Twitter-length points could get your content tweeted two, three or even 10-12 times. I have come across content so compelling I have scheduled a dozen tweets over several days. Each of my tweets averages roughly 130 clicks so that adds up. And there are many more influencers with vastly more followers than me. This happened because @AdamToporek’s post about Google Plus Privacy featured those perfectly tweetable sound-bites I mentioned! This is what can happen. That post already has 395 retweets which is bound to continue higher as you can see at this Topsy Retweet Measuring link. The last time this happened to me, @TonyRobbins RTed a guest post on GrowMap. That post went viral and ended up with 395 RTs and 3,719 page views according to Google Analytics. If you know the above advice will benefit you, do NOT let yourself get stuck. If you do, ask for assistance in the comments here or by tweeting @GrowMap. We or our collaborators are here to answer your questions and share HOW to make the above happen. Thanks for the info.. my traffic seems to be up and down, but I’m seeing some recent results just from making it easier for people to “like” my posts. It is important to know the best way to go about social media sharing for your site. Facebook doesn’t really work for me at all. It is a very nice and informative post on how to make social media sharing fast and easy.Social sharing is now become an important part of online marketing and business.Thanks for sharing this post! Very good post with very useful list,posts on social media websites can bring business success and for manywebsites are already an important source of traffic. Great information on how to make social media sharing effectively. The problem I have with some blogs is that I can’t find the damn social media badges because they’re in an obscure place where they don’t really stand out. Then of course there are those blogs that don’t have any at all, not even a tweet button! I don’t know what they hell they are thinking. Sire would love you to read ..Have You Been Getting Warnings From Avast? This is really indeed a great source for making the best blog and spreading it through all means including social media. I am of the opinion that a successful bloggar can’t ignore the strongest tool of today’s internet marketing, which is social media such as twitter, facebook or google+. I totally agree, posting your view is quite an interesting exercise, difficult if not mastered. I love sharing my view on social sites, as sharing your views enables you keep to challenge. 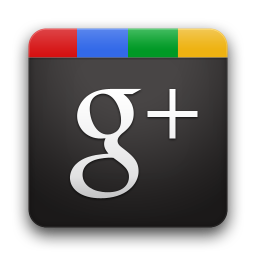 Alex, do you think Google Plus is going to affect search engine optimization?, or it doesn’t has to do nothing with it? If I may add my own Google Plus Tutorial to the mix – I aimed it towards the busy people who don’t have hours to learn what can be learned in minutes. I have only Twitter, Facebook and Google. Oh yeah, and I also added a Google Reader button. I personally look for this button every time I want to subscribe to a page, but few people have it. Social sharing has become the perfect way to promote and market anything and it is a very big platform to explore and very tedious. In order to see the results it is also very important to choose the right techniques and a lot of hard work. A lot of great points were made in this post. 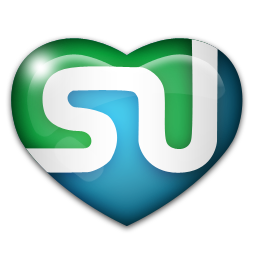 I’d like to thank you for highlighting StumbleUpon as a less common social media tool. I discovered it about a year ago and was only using it as a cure for boredom… who knew that it could be repurposed for optimal sharing! Fabulous helpful post, love all the tips: will be putting them into action! . Facebook is one of my biggest traffic source for me..getting shared on social sharing sites, really helps. Thank you for this post. I have been working on social media sharing. It’s tedious, but some of the points you make pointed me in the direction of tips will streamline the process. Very helpful! Great informative post you have here. Thanks for sharing this. Social bookmarking sites can help our post to crawl by search engines fast. Yes, we should use them optimally. I like twitter and stumbleupon more and use digg digg plugin to optimize it. Thanks for the link! You make some great points about social sharing in this post. I am really seeing the effects first hand. The tweet you sent that was RT’d by Tony Robbins is now over 700 shares via Topsy. While the effects of these quick traffic hits can be overstated, they are still really nice and help expose your work to new audiences. Thanks again for the tweet and the link! Excellent tips you have here. I’m sure its going to be useful for anyone involved in marketing. There are so many social networking media sites now. I don’t like to clutter a website with too many of the buttons available. I try to pick a smaller set of the more popular ones. But, things change so often. One day they are popular and not the next. Or, new ones are popping up all the time and we are not sure what kind of popularity they will see. If some one wants to make his web unique and friendly with every browser than he or she must consider all these points while creating and after creating. The best post so far which make me to think about these point that how much my own website possess. All Great advice, you should check out knowem.com as well great for signing up to 100’s of social media accounts. Thanks for the great insight, I appreciate it! Nice article.. Very informative and helpful.. thank you. I’m still neglecting the whole social media part of SEO. My blog sees very little traffic as a result. Is there a reliable WP plugin that can simplify this? Need to revisit SU. Had forgotten about it. Love this suggestion – Intentionally include Twitter length ‘sound bites’ in your content. Timely post for me Gail. I’m having my WordPress designer make important changes to my site, and optimizing posts for social media is at the top of the list. I’ve been looking at a lot of blogs to see what I want to do, and I’ve e-mailed a few owners to ask which plugins they’re using. Thank you for including my Google plus tutorial. 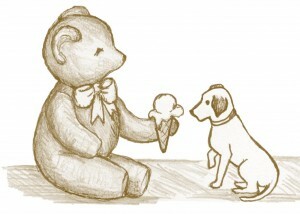 Indeed sharing occurs smoothly when we make it easy for our readers. Thank you for your ideas how to integrate Social Media with a blog. For your WordPress Blog there are a lot of plugins available that will make it easy to publish these Share Buttons. In fact there are too many of these plugins, so it is difficult to make the right choise. Thanks for this article. We are looking for this information. My only concern on all of these social media things is that it becomes noise rather than a meaningful communication. When do the sharing buttons overwhelm the content? On every blog post I would focus on facebook, twitter, google plus and social bookmarking sharing buttons, so that all major sharing options are covered. Every user has different preferences and one user may social bookmark urls but does not have a twitter or facebook account and vice versa. Comprehensive post with some great tips about Sharing. However, will Google really crack “Social” this time? It has a history of social media failures: Wave, Google Friend Connect, Buzz. I’ve seen many people getting thousands of visitors to their blogs just because someone has clicked the StumbleUpon share button. I myself underestimated the power of facilitating reader’s sharing by putting everything in front of their eyes. But after i realized how important it is, i started to put some social sharing buttons in the areas where my readers look at most. I know get a decent amount of traffic just from StumbleUpon not to mention the other sources. >>>Providing the most commonly used share buttons on each post. absolutely, at this point EVERYONE should know to add the familiar little icons for facebook, twitter, and now Google+. there are some cool custom icons out there too if you search them out, to match the design of your individual sites. I am using RSS feeds and I see a number of visitors to my new post through RSS feeds and which is quite good. I also use twitter for promoting my articles and blogposts and so far I have not used stumpleupon but I will definitely go through it in coming days. The only bad thing of Google+ is that, as far as I know, there’s still no “Share on Google+” button, just the generic (and for now a bit useless) +1 one, right? The chance to share a post/website directly from a button would be a much welcome addition. What about digg.com? It seems no one is using it anymore. But they have still lots of visitors and I think you can profit from that too. Great article and a starting base for me. I find all of it so time consuming I think I need to concentrate on a few and doing them WELL before moving on to the next one. It is important to build each account carefully and to take advantage of all the accounts have to offer. No doubt in that if you want to be a best blogger then you will need to attract almost all over the world blog readers because for become a famous blogger you need to convert much traffic on your blog post, these are the very great idea to convert much and more traffic on blog you should have account on every social media site like Twitter, Facebook, Stumbleupon and on Google+ these all social media sites will definitely give response to you from all over the world.